Have you seen thedumpsters los angeles !? They are awful! They smell, and they are covered in remains of garbage! Talk about disgusting! 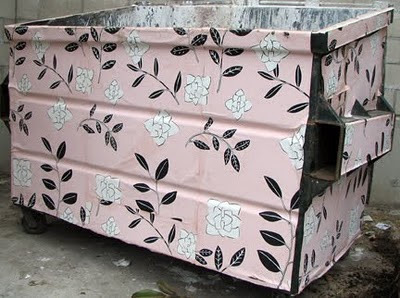 I would totally love if one day, someone just decided to go around LA and cover the dumpsters like this! They would look so much better! !